Not into the big game this Sunday? 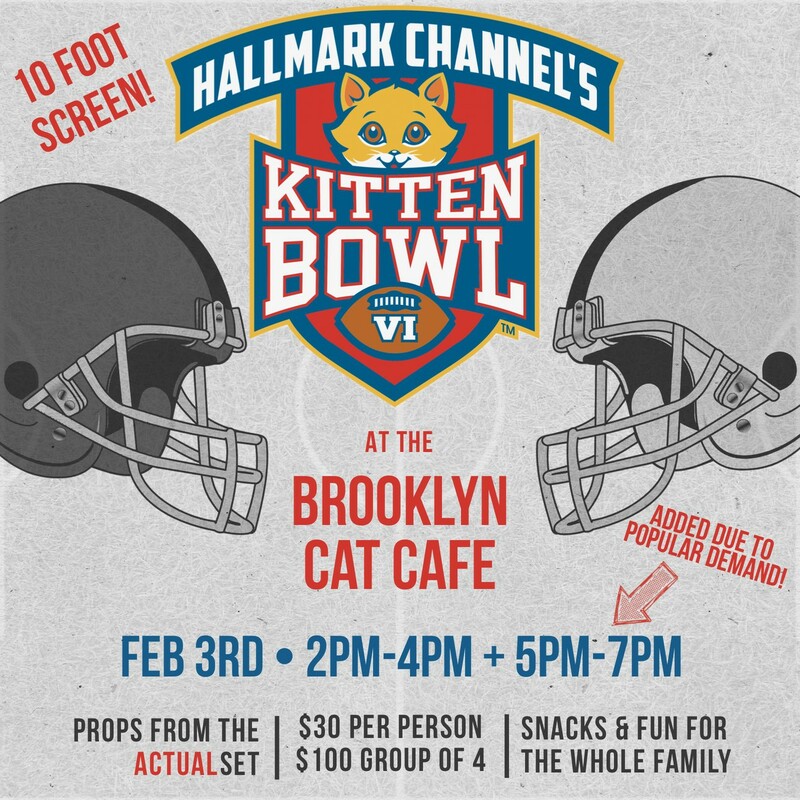 The Brooklyn Cat Café is offering an alternative: the chance to watch Hallmark’s Kitten Bowl on a 10-foot screen while enjoying a real live Kitten Bowl with the Café’s resident. 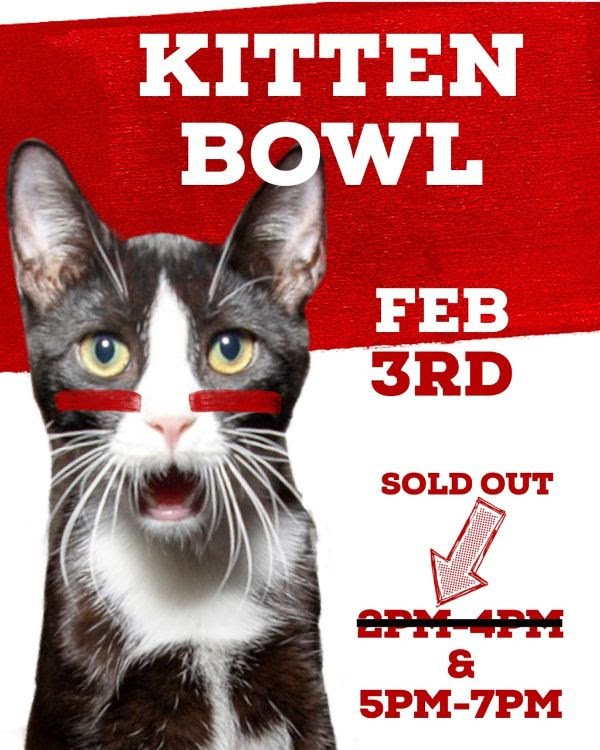 The Café has procured props and toys from the real Kitten Bowl set, and light snacks and drinks will be provided. Originally scheduled from 2 – 4pm, that showing sold out and a second screening has been added from 5 – 7pm. Hosted by the Hallmark Channel, the Kitten Bowl is a nation-wide adoption event, featuring adoptable kittens gamboling on a miniature football field, with commentary from animal advocate Beth Stern, actor Dean Cain, and former NFLer Rodney Peete. They will be joined by former NFL running back Rashad Jennings and former quarterback Boomer Esiason. Individual tickets are $30; $100 for a group of four. Proceeds support the Café’s adoption and rescue effort. In the last month, 50 cats have been adopted.